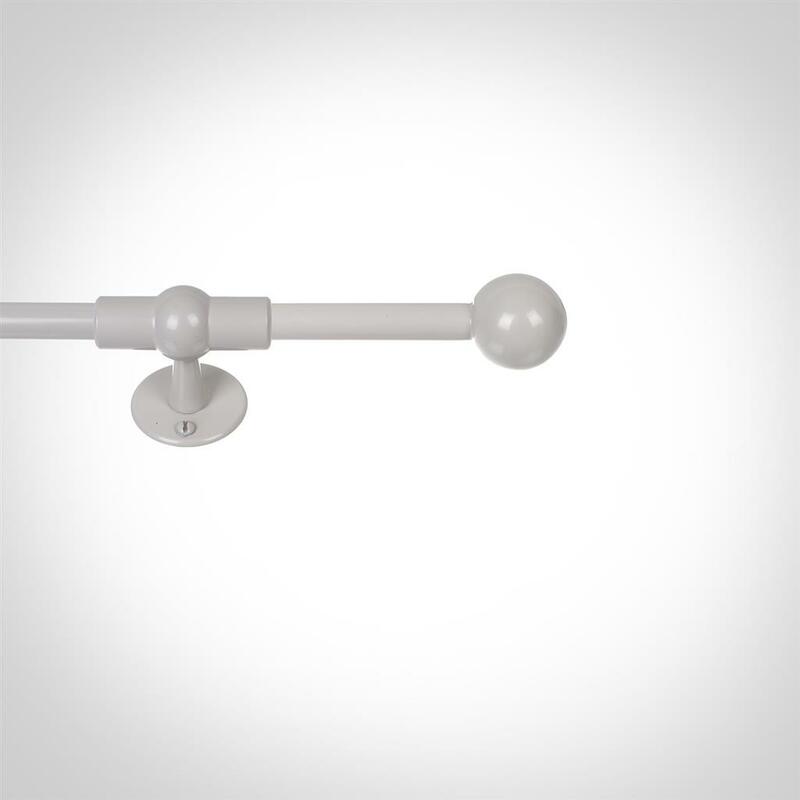 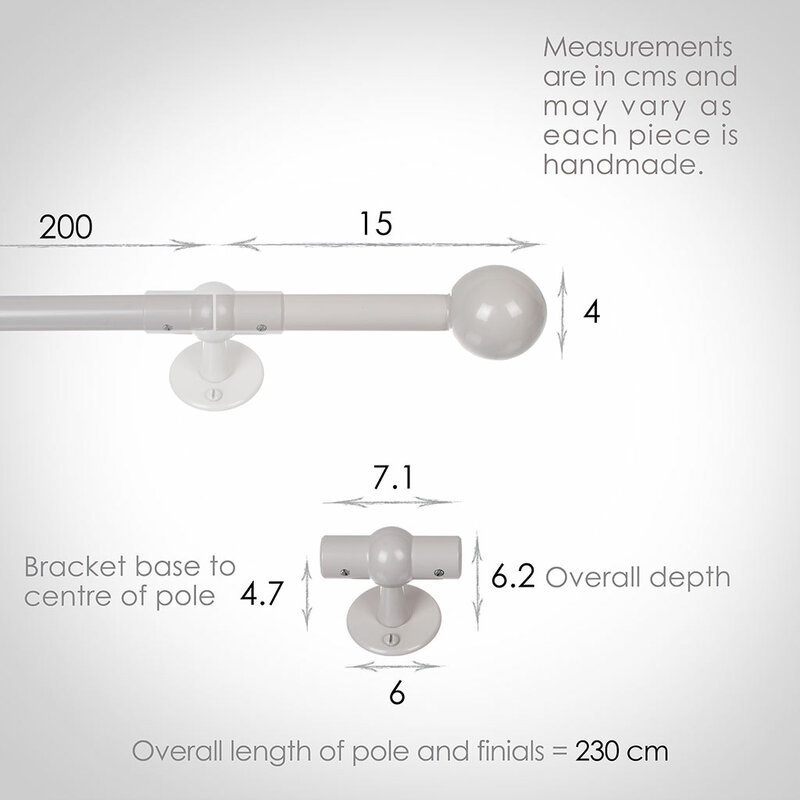 The poles are available in four lengths and with a choice of finial styles. 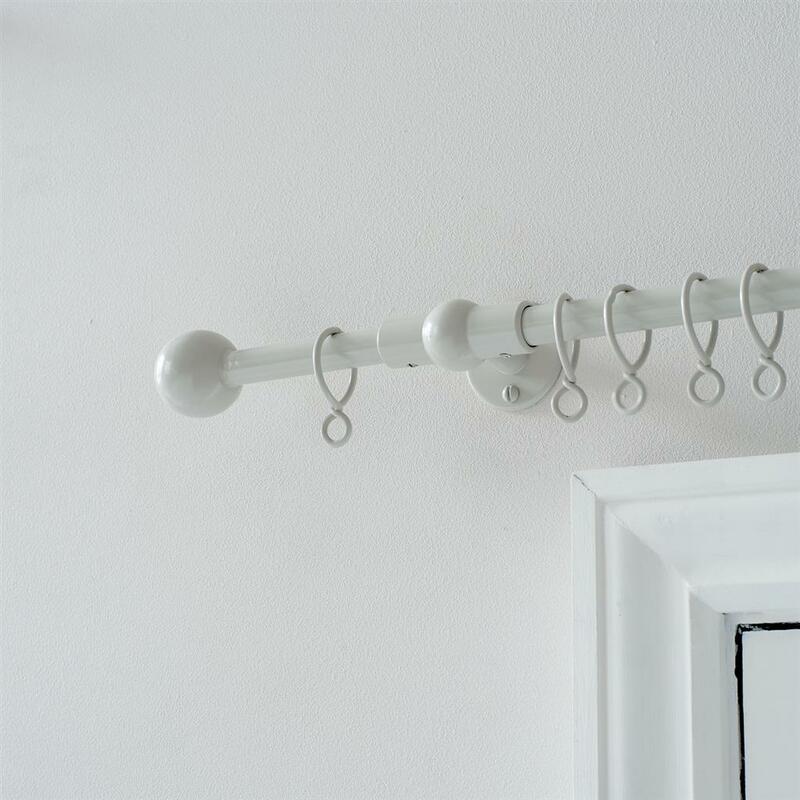 They can be cut down easily to suit the width of your window (longer poles come in two parts with a centre bracket that cleverly hides the join). 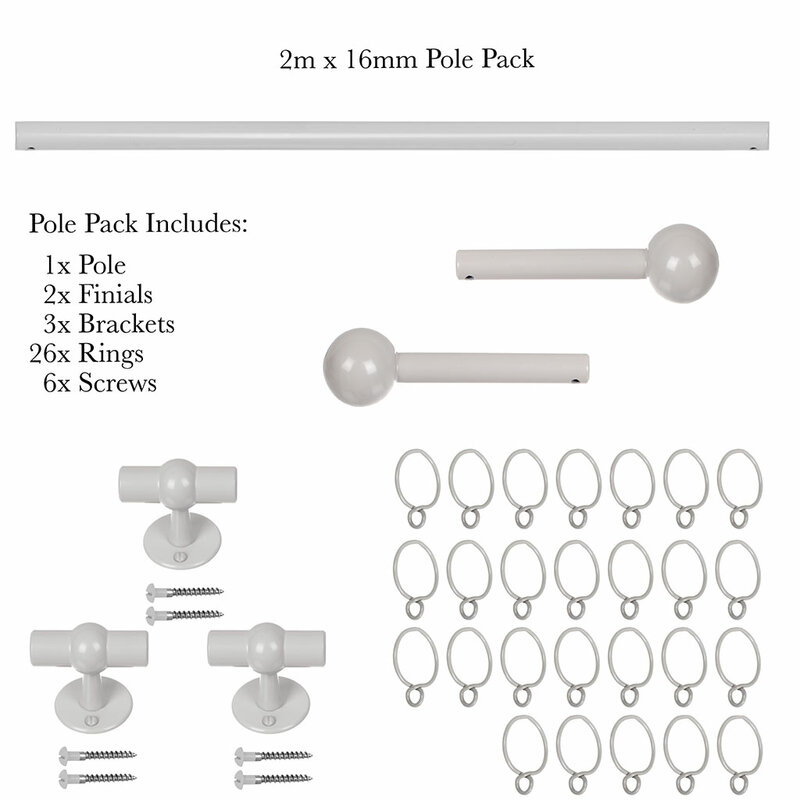 This overall pack length is 230cm, including the finials.